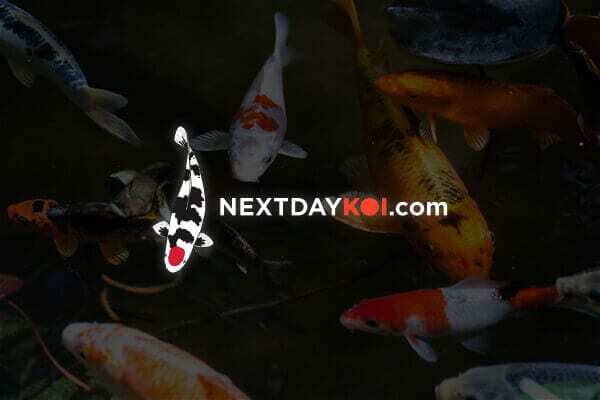 Hand pick your Koi Fish online with our partner NextDayKoi.com. Delivered to your doorstep within 24 hours! We have partnered with NextDayKoi.com to bring you the largest variety of Koi, Butterfly Koi and Goldfish from two of the top sources in the industry, Blue Ridge Hatchery and Hazorea. Choose your delivery date with flat rate shipping as low as $25. Our industry-leading worry free guarantee covers all fish, to ensure that you can shop with peace of mind! Koi fish aka Nishikigoi (Cyprinus carpio), are descendants of common carp. Originally from China in the 17th century, Koi fish were mostly brown in color and were farmed in rice paddies. Spreading to Japan, the Japanese took notice of brighter colors in some fish and decided to breed those into more species. There are about 27 different variety of Koi, there are sub varieties within those. Japanese Koi have always been known as the highest quality. The common misperception in the Koi industry is that US Koi are not the same quality as Japanese Koi. US breeders have worked strenuously in the past few years to improve the quality of their bloodlines and are proud to say that their Koi fish are now at the same standard. Trying to keep all of the varieties and variations of Koi straight can be challenging, if you have any questions, don’t hesitate to ask! Koi come in these varieties below, but keep in mind you can also get these Koi in butterfly fin Koi. How many koi fish fit in my pond? 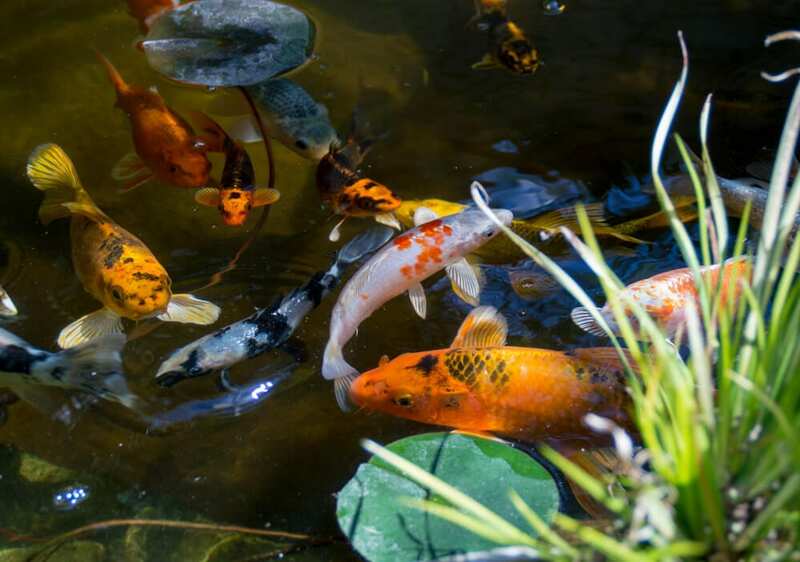 Several factors influence whether a pond is habitable by fish, so before you stock your new pond or choose a few new finned friends at your water gardening store, take a few minutes to assess your fish’s dwelling space. It all starts with the size of your pond! Pond fish generally need 10 gallons of water for every inch of their length, and you have to be ready for them to grow larger, so be careful not to overstock, no matter how tempting this may be! For a 1000 gallon pond, you are maxed out at about 100 inches in koi (or 10 large koi). Just keep in mind, these guys do grow! A safe number to start would be 6-8 medium koi fish for every 1000 gallons.